Apple Valley Choice Energy is committed to protecting your personal information and ensuring appropriate protection exists when collecting, storing, using and reporting that information. Apple Valley Choice Energy (AVCE), its employees, agents, contractors, and affiliates shall maintain the confidentiality of individual customer’s names, service addresses, billing addresses, telephone numbers, email addresses, account numbers, and electricity consumption, except where reasonably necessary to conduct AVCE’s business or to provide services to customers as required by the California Public Utilities Commission (CPUC). Examples of reasonably necessary business purposes include but are not limited to when such disclosure is necessary to (a) comply with law, regulation, or court order; (b) enable AVCE to provide services to its customers; (c) collect unpaid bills; (d) obtain and provide credit reporting information; (e) resolve customer disputes or inquiries; (f) communicate about demand response, energy efficiency, energy management, and conservation programs, or (g) in situation of imminent threat to life or property. AVCE shall not, under any circumstances, disclose customer information for third-party telemarketing, e-mail, or direct mail solicitation. Aggregated data that cannot be traced to specific customers may be released at AVCE’s discretion. Customer data, including individual customer names, addresses, and electric energy usage data, is collected via Southern California Edison’s metering systems. AVCE may share customer data with contractors and vendors for purposes of providing services and operating programs. Contractors and vendors are required to agree to only use customer data for program operational purposes and protect it under the same standards as AVCE. AVCE maintains customer-specific energy usage and billing information for only as long as is reasonably necessary, typically not more than five years unless otherwise necessary by law or regulation. The effective date for this version of Policy AVCE2017-01 is February 1, 2017. Notice of this policy will be provided when confirming a new customer account and annually to customers via an on-bill message to guide customers to the most updated version on AVCE’s website at www.AVChoiceEnergy.com. Any changes to this policy between notification periods will be communicated through AVCE’s website. Customers having any questions or concerns regarding the collection, storage, use, or distribution of customer information, or who wish to view, inquire about, or dispute any customer information held by AVCE or limit the collection, use, or disclosure of such information, may contact Kisha McDonald, by phone at (760) 240-7601, via email at kmcdonald@applevalley.org, or by mail at 14955 Dale Evans Parkway, Apple Valley, CA 92308.
respond accordingly to a situation of imminent threat to life or property. What kind of information does AVCE collect? We collect customer information—your electric usage, name, address, and account information—based on your use of electric services and your decision to participate in programs we offer. Southern California Edison (SCE) provides customer information to AVCE. When you use electricity services, usage data is collected via SCE’s metering systems. Other than for the exceptions noted in the “Notice of Accessing, Collecting, Storing, Using, and Disclosing Energy Usage Information” section, it is AVCE’s policy to not release any personal information about you to any other persons or business entities without your prior consent. Consent may be obtained electronically. We use customer information to administer your account and inform you about your energy usage, as well as to manage, provide, and improve our services and business operations such as data management and customer service. We also use this information to generate the AVCE charges on your customer billing statement and to communicate with you about specific programs or opportunities offered by AVCE that may help you to lower your energy usage or realize other benefits. Further, we may aggregate data about your electric usage with other users in various formats so that the data becomes anonymous and cannot be identified directly with you. For instance, aggregated data could be a summary of total energy usage for all homes and businesses in a certain geographic area or climate. Aggregated data is not subject to privacy restrictions and is used by us to manage, provide, and improve our services and business operations. We ask you to provide personal information when you access customer services offered on the website, and that information enables us to provide you with better service. We may use this information to contact you, respond to an inquiry that you send to AVCE, or keep you informed about AVCE and its services. If you choose email as an approved method for communicating with us then we will generally use your email to communicate with you. We collect information about our website, such as the number of visitors to the website and the number of users that click on certain links or use certain services. We use industry standard software to create summary statistics of the usage data we collect, which may then be used to highlight what our visitors find interesting. We then use this information to improve the website design and usability, identify system performance issues, or for other internal purposes. An Internet Protocol (“IP”) address is a number automatically assigned to your computer every time you browse the Internet. When you visit the website, our servers log your current IP address. We may use your IP address to help diagnose problems with our servers and to administer the website. Your IP address is not tied to your personal information and we do not use it to identify you when logging IP address data, except to provide content to you. When you visit the website, our server may create cookies: small files placed on your computer. Cookies make it easier for you to use the website by verifying when you travel from page to page. The data we collect on website usage from cookies is not tied to your personal information and we only use it in a collective form. We do not sell or transfer the data we obtain from cookies for any purpose other than to evaluate website usage, provide utility services to you, or contact you to offer programs and/or services that you may be interested in. While browsing the website, you may encounter and choose to access other third-party operated websites or online services through hypertext links. These third-party websites may send their own cookies to you, log your IP address, and otherwise collect data or personal information about you and your online activities. AVCE does not control and is not responsible for how third parties handle your personal information, or what they do in connection with their websites or online services. Please use caution and consult the privacy policies posted on each third-party website for further information. Does AVCE disclose my information to third parties? emergency responders in situations of imminent threat to life or property. How long does AVCE keep customer information? AVCE maintains customer-specific energy usage and billing information for only as long as is reasonably necessary—typically not more than five years unless otherwise necessitated by law or regulation. As a general policy, we collect and retain personal information in minimal quantities and for limited periods of time insofar that it is reasonably necessary to provide electric services to you. 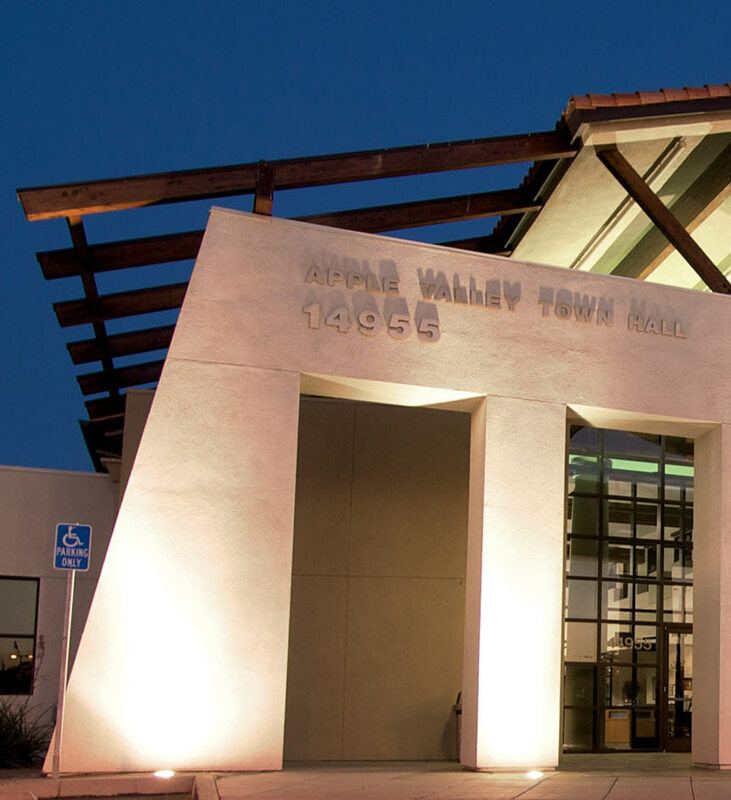 Please contact the Apple Valley Office at: (760) 240-7601. We share our customers’ concern that children’s privacy is important. We do not monitor the age of users on our website. However, if you are under the age of 18, you should not submit personal information on our website or any websites without the consent of your parent or guardian.